This picture came with the clinical details ‘doctor’s request’. What else might you see? Please reply on Twitter and always include #teamhaem to allow others to follow your comments. Please join in the debate and learn about haematological problems along the way. 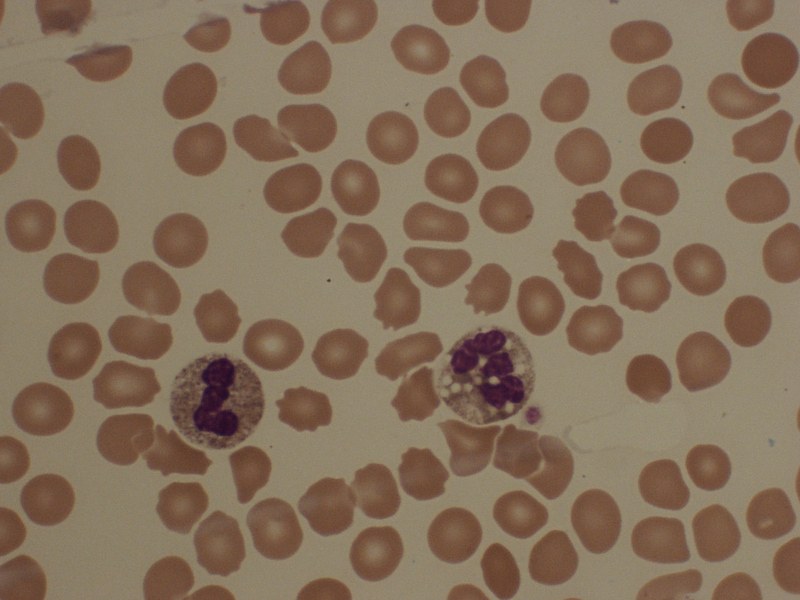 This entry was posted in Laboratory morphology, Related to other specialities and tagged Blood film. Bookmark the permalink.